This artistic discourse with nature begins to adopt a more spiritual aspect to it, as it is the visual incarnation of theconcerns of a human being towards nature itself. This piece of art is a practical dialogue between the artist and the environment, focusing on how we, human beings, are interconnected with nature, rather than how we are all disconnected from it. We are all linked, somehow. The artist exhibits this by blending in various colours, each colour symbolizing man and parts of nature. 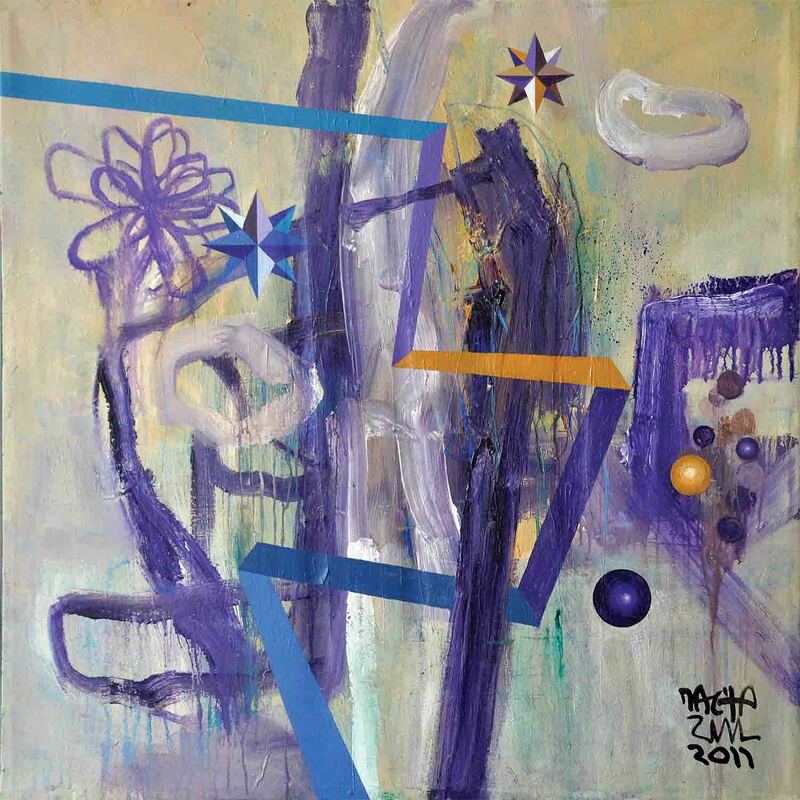 The artist, who has exhibited his work a number of times at Galeri Chandan, has a background in abstract art and his works have been described as a beautiful rendition of a cosmic chaos. Born in Selangor in 1972, Zulkefli studied Graphic Deisgn at MARA Institute of Technology (ITM), Shah Alam before becoming Creative Director at ATCT Sdn Bhd. He has actively participated in shows since 1999 until today.